How good can Denis Shapovalov be? That’s a question that has to get you excited if you’re a Canadian tennis fan. During his match against 15th seed Jo-Wilfried Tsonga – a match Shapovalov nearly won in five sets – one of the game’s all-time greats set the bar high. John McEnroe, on the ESPN broadcast, just said he expects Denis Shapovalov to be Top-5 in the world when the Canadian is 20-years-old. Calls him "the future of our sport." Shapovalov is 18, turns 19 in April. 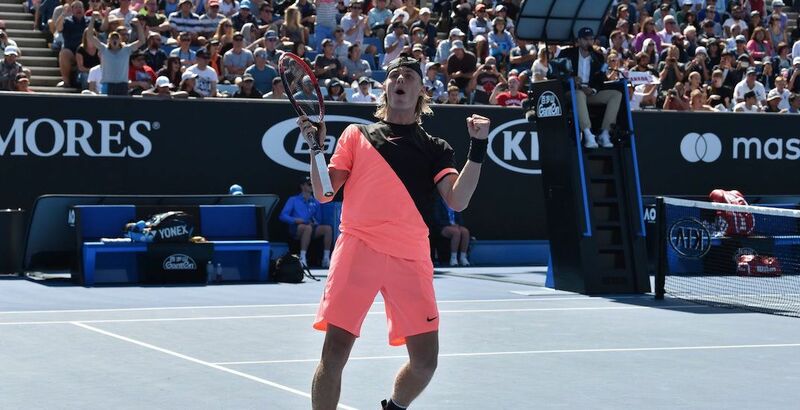 Shapovalov had a meteoric rise to fame last year. When he upset Juan Martin del Potro at the Rogers Cup in Montreal, that got everyone’s attention. Then he beat World No. 1 Rafael Nadal, proving that he was for real. Shapovalov’s ranking shot up from 143rd in the world to 67th after Montreal. Heading into his first Australian Open, he was ranked 50th. Could he one day be “the future,” as McEnroe put it? Working in Shapovalov’s favour is the age of the players he listed. Roger Federer is 36 years old. Nadal is 31. Novak Djokovic is 30. Age will catch up to them eventually. Meanwhile, Shapovalov is years away from his peak, and he’s already competing. The reality is that Shapovalov should have beaten Tsonga in Melbourne, just as he did at the US Open. The Canadian won more total points than the Frenchman on Wednesday and had a chance to serve out the match with the score 5-3 in the final set. Shapovalov is the only teenager ranked inside of the top 80 players on the ATP Tour and he doesn’t turn 19 for another three months. You bet he’s the future.